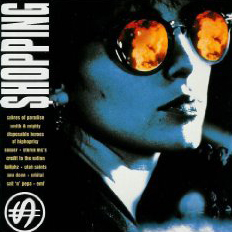 Original music from the film Shopping. A lone group of teens, led by recently released joyrider and his disenchanted Belfast girlfriend, strives to leave their mark on "a British city in the near future" while attempting to avoid a rival gang. Stars Jude Law and Sadie Frost.